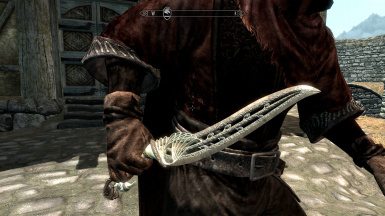 4 new custom, lore friendly Redguard themed weapons for your game. Built from scratch custom meshes and textures, there's more then one way to curve a blade. 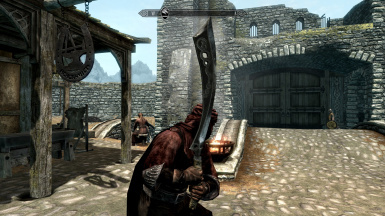 Credits: The Yoku Greatsword is built from a Tamriel rebuilt concept sketch of Dunedweller weapons. 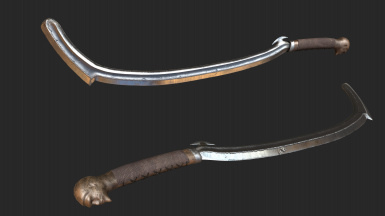 The longsword and executioner are real African designs, a Zande sabre and Kenyan tribal executioners weapon respectively. The dagger is based on a pair of earrings a lady in front of me at the post office was wearing one day. 4 new custom,lore friendly Redguard themed weapons for your game. Built from scratch custom meshes and textures, there's more then one way to curve a blade. You can craft them in any forge under steel without perks if and only if your character is Redguard. 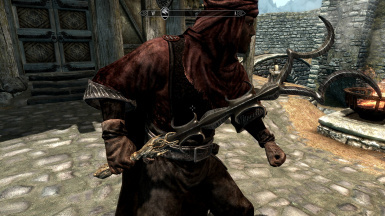 Intended to add a little flavour to any new Redguard character by allowing them to craft custom Hammerfell themed weapons to boost the play through. Enjoy! 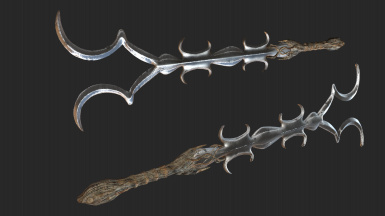 Only available to Redguard characters (new or saved), 4 new weapons to cover most character types. High end Steel on a par with Elven (a bit like “Skyforge Steel” in vanilla) but available at any forge from character generation onwards without perks etc. 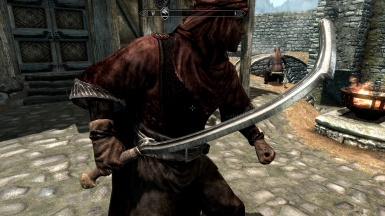 Craft, temper and enchant to stuff it up the straight sword infidel barbarians of Skyrim. 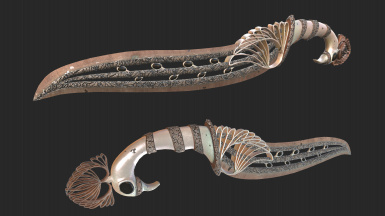 Raga Dagger: “The streets of Sentinel are a terrible beauty, yet the pride of the peacock is the glory of the Gods”. Thieves, assassins, rouges, any who knows the name Melek Taus. 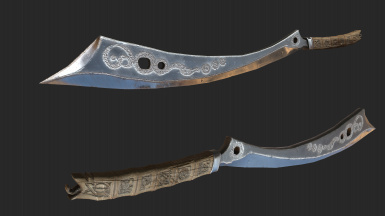 Craft: same as Steel dagger, no “Steel Smithing” perk required. Craft: same as Steel sword, no “Steel Smithing” perk required. Yoku Greatsword: “A Serpent from the Sands, the great devourer, the great hunger” Tanks, Dune Dwellers, any who know the name Satakal. Craft: same as Steel sword, no “SteelSmithing” perk required. Yoku Executioner (Mace): “A Scarab from Hegathe, cleaner of corpses, every curve of it's body was a blade and from its head horns as sharp as harvest sickles” Witch doctor, magic users, any with an old hate, an old grudge and bones to pick with the Undead. (same effects as vanilla silver swordvs undead). Click the Download with Manager button in the files section to download to NMM. Activate the mod in NMM.